I had the pleasure of speaking in Pennsylvania today at the District 7 Professional Development Day. I met and learned with wonderful music educators and met some of my twitter friends f2f. The keynote presenter, Christopher Woodside (@MarylanDChris), opened his talk with his work with National Association of Music Educators (NAfME). Christopher Woodside, NAfME Assistant Executive Director, Center for Advocacy & Public Affairs spoke more about assessment and advocacy. He shared his view of the Common Core and how the Arts are viewed as a support to the core subjects. The point that Christopher was making was one of breaking tradition. People consider the Arts as a supportive experience because that is what they have always been told. We need to relearn advocacy. Out of my three sessions, Music and the Common Core was the best attended. Teachers are unsure about how the Common Core State Standards (CCSSs) are going to effect their teaching. 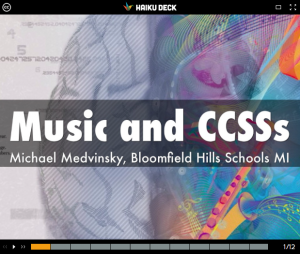 I was happy to lead discussions about how uncovering conceptual and process connections are the connective material between the experiences the learners are having in their core classes and the Arts. We are not a support. Music is a unique way of knowing. Musicians have a unique way of experiencing the world. We do teach the same concepts and processes that the core teachers do. Here are some of the connections that we share. If you would like to initiate conversation with colleagues or administrators, process connections may be a good place to start. There are so many processes we have in common. After the session, I met Eric Griffith (@ericmgriffith), Vocal Music Director and PMEA District 7 Advocacy Coordinator. We discussed that when music educators look for ways to advocate for their programs, they find many posts and articles about arts being a support for core subjects because that is what we have always talked about and that what is out there. We are hoping music educators looking for ways to advocate for their programs and the learners in their classrooms, they will find this post. We need to educate the people who don’t understand what we do. We won’t support your math program by teaching the Multiplication Rap. We will support learners to recognize, identify and organize. These processes will help support the thinking that is needed to understand multiplication. 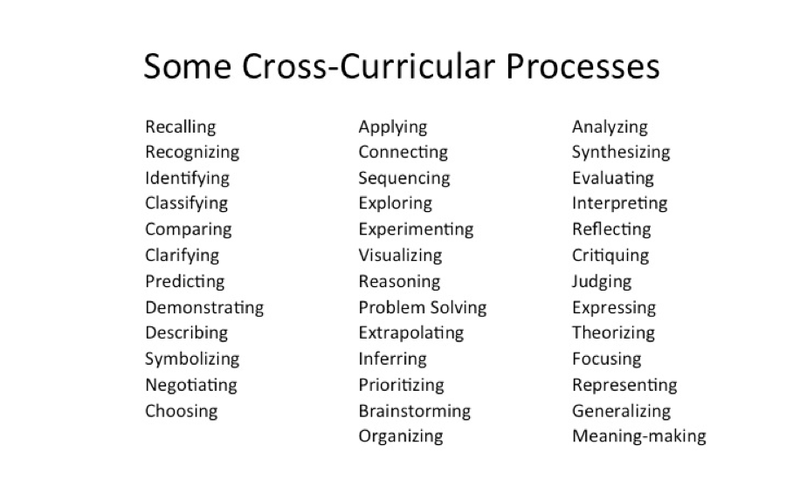 We need to relearn the ways to articulate the connections we are helping learners create. This is our new advocacy. This entry was posted in Uncategorized by mmedvinsky. Bookmark the permalink. I, too, am working on examining how I can keep the integrity of what I do regarding Common Core. I have had meaningful communication with my colleagues but at the same time we are working on communicating our needs with administrators which at the moment, is not an easy task. I am very interested to see how this plays out at the state level. Thank you for paving the way! Keep the conversations going! Some helpful resources are Michigan’s Arts Education Instruction and Assessment Project http://mi-arts.wikispaces.com , the group I am working with in Lansing. We are staying true to the authentic processes of being a musician. Also, NAfME’s advocacy Groundswell campaign. http://advocacy.nafme.org/state-meas/dc/ Thank you for all that you do! So many of us have to stretch to try and “fit” what we do as music educators into what we are told is the right way to do things…. I am currently working on connecting a lot of these ideas too.. I have been working with my principal on it and she seems very willing to listen. Would it be ok if I showed her some of this to strengthen my points? It is great that you are opening dialogue with your principal and that she is willing to stretch her thinking as well. The ways musicians are engaging in authentic processes already “fit” the right ways to do things. Music educators need to learn to reframe the ways we share the ways we design experiences. Keep the conversation going! The arts are important in students cognitive lives because of these deeper connections. I think all too often we relegate ourselves to supporting students core learning by reviewing information that has already been covered in direct instruction in another room. Reviewing information in this way does not give our students enough credit. 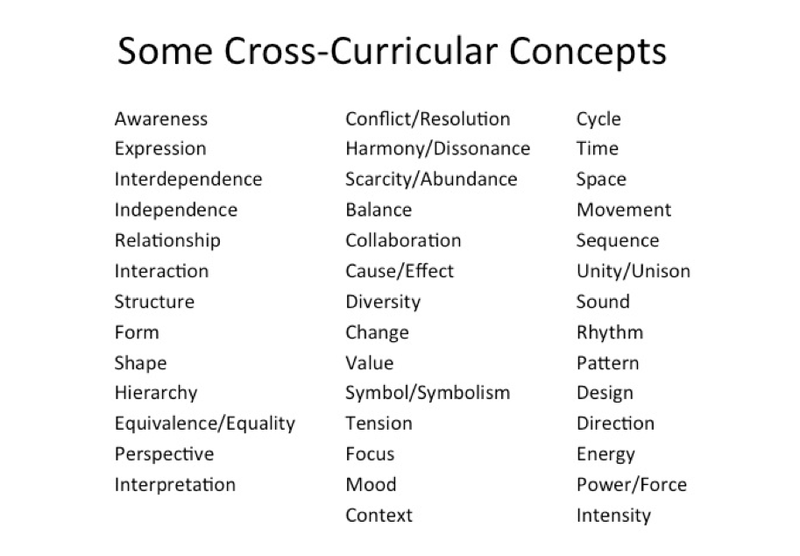 We need to be concentrating on building these conceptual connections. For a musical thinker it may be easiest to understand the build and dissipation of energy in music because it is audible. Then when they talk about the build and dissipation of invisible energy in science they have a framework to apply the concept to. Much more authentic. When I’m trying to remember states and capitals I do not sing through a song in my head – I google it. We need to teach 21st century learners.